Before B’nai Mitzvah services, Rabbi Weber gets everyone in the mood for prayer by asking what they are grateful for. For what do they wish to say thank you to God? We get the obvious: for my family, for this Bar/Bat Mitzvah celebration. People are often grateful for health and jobs, for food and shelter, for many things. Occasionally, people say they are grateful to be safe as Jews in America. Rabbi always points out how lucky we are to feel safe, to have synagogues to pray in safely. We no longer must hide in basements or closets. We are blessed to be proud as Jews and as Americans. On October 27, a terrible thing happened to shake our faith in our safety within our synagogues and sanctuaries. A gunman with a history of virulent anti-Semitic statements online came into a Pittsburgh synagogue during Shabbat morning worship and murdered 11 people, injuring others, including the first responding police officers. People came to worship for Shabbat, to celebrate B’nai Mitzvah and to celebrate the birth of a baby, and they found themselves instead terrorized and injured by hatred. So, we have come to confirm that like nightclubs, schools, churches and concert venues, synagogues too are vulnerable to the actions of people with hatred in their hearts. We have always known this, for our history books are littered with stories and timelines of people who have tried to kill us. But here in America, there is a big difference. In history, when Jewish communities have known terror and murder and expulsion, it was the government that committed these atrocities or failed to bring the perpetrators to justice. Here in 2018, for all the divisions and divisiveness around politics, the response to this tragedy was swift. The police responded, the culprit was arrested, the prosecutors will prosecute him. In other places in history, none of this would have been true. 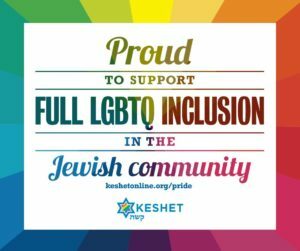 So today I say, Thank You, God, for allowing me to be a proud Jew and a proud American; for a land where we are free to be Jewish and gather as Jews to celebrate and to mourn; for a land where there are people filled with hatred, but where our police and justice system will defend my rights as a Jew. As we celebrate Hanukkah, and light our lights of freedom, we should consider this continued place of freedom and privilege as Jews in America. We must always confront the hatred that allowed someone to feel righteous murdering Jews as they prayed in synagogue. We must always confront the ways within ourselves and our institutions which allow for fearmongering and hatred of the other to wallow and turn into righteous anger. But so, too, we should proudly display our hanukiyyot in our windows, secure in the knowledge that we are grateful to be Jewish in America. We may have had our Shabbat of peace shattered on a grave day in October, but I am still grateful to God for allowing us to come together and celebrate our traditions and our faith. I am grateful and secure in the knowledge that we Jews have seen most things in our 4,000-year history, and we will make it through this round, too.